Fall is here. The weather is gorgeous and the trees are starting to change colors. I love this time of year. Another great part of fall are all the apples! 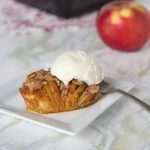 I am going insane with all the delicious apple recipes out there. 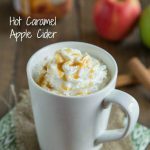 And today, Cindy from Cindy’s Recipes and Writing is hosting a #SundaySupper Autumn Apple Party! I am so excited! I wanted to go out on a limb today, and make something a little different. I have seen plenty of Quesadillas with apples before, but usually they have cheese, or turkey, but definitely something along the savory lines. This on the other hand, is totally not that. Plenty of Nutella is involved, which of course means it has to be good. I even gave the tortilla a little cinnamon and sugar crust, which is just the little extra touch to make them even better. These would make for a special after school snack, or dessert. Or maybe breakfast, if that’s how you roll. I mean there are apples involved, so you be the judge. But you really can’t go wrong with melty Nutella and apples. Fall is here! Check out this great snack or dessert. 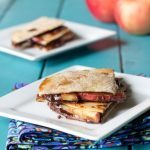 Nutella and apples together in a quesadilla that has a cinnamon and sugar crust on it! In a small bowl combine the cinnamon and sugar, stir to combine. Place 2 tortillas on a work surface. Spread 2 Tbls of Nutella over each tortilla. Evenly space apples around each tortilla. Top with the other 2 tortillas. Spray one side of the quesadilla with nonstick spray. Sprinkle with some of the cinnamon and sugar mixture. Place in the skillet, cinnamon side down. Heat until toasty (about 3 minutes). Spray the face up side with nonstick spray, sprinkle with cinnamon and sugar mixture, and flip. Once tortilla is crisp, remove from the pan. Allow to cool slightly before cutting. Slice into quarters, and serve. What a simple dessert idea! Very kid friendly. Oh Erin! This is everything I wanted it to be! These wouldn’t last an hour in my house! How did you manage to take pictures?! Yum…apples and nutella? Sign me up! I have some Biscoff spread in the cupboard too…wonder if that would work as well? 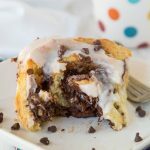 Perfect for breakfast and would make a special treat for my Little Man. Yummy! My stepdaughter would be in heaven! yum yum yum!!! Love the combinations!! Well, every ingredient in this recipe is such a crowd pleaser, can´t go wrong. Wonderful and easy quesadilla! Absolutely love dessert type quesadillas! And you know I’m game for anything involving Nutella! Holy cow is that a big collection of apple recipes. Love it! I’m all about apples now. 🙂 I made my first quesadillas a few weeks ago (apple, cheddar and bacon, but without the apple :D) and loved them! I’m sure these have to be even more amazing. I mean, there’s Nutella involved. I’ve been waiting for this recipe ever since you posted the photo in the Sunday Supper group. Like I said there…nutella, NUTELLA!!! Yum. I love anything with nutella so I know I will love these! 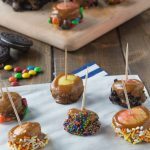 What a great fall treat! Love this easy dish and cannot wait to make it for my kids! 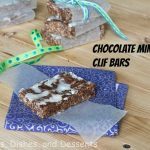 !So tasty ,easy and perfect for a busy Mom :)Love it!!! I have had my eye on this dessert. I may have been stalking it on FB. 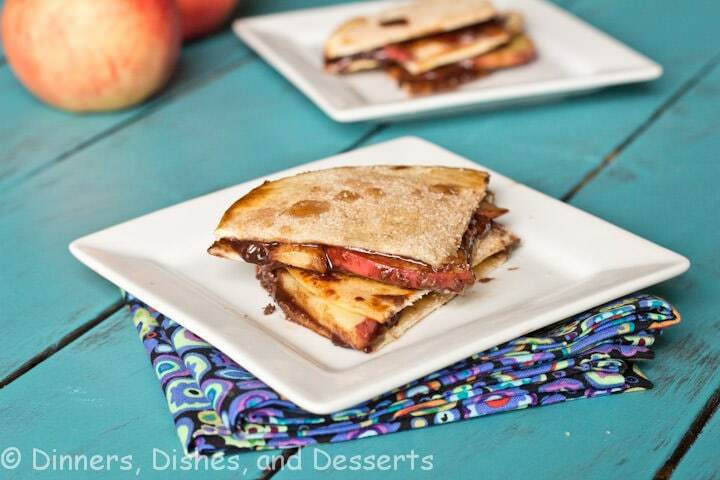 Nutella and apple quesadilla…Genius! I can’t wait to make it. Happy #SS! How delicious, I love the cinnamon-sugar crust you added! 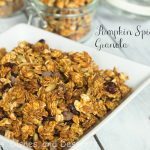 What a perfect dessert to introduce the fall season. Delish!!!! I’ve been patiently waiting ever since you posted the teaser on this photo. All I can say is YUM!!!!!!!! Oh boy…anything with Nutella is automatically delicious, don’t you think? 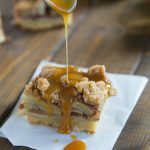 I recently became obsessed with cookie butter as well, especially with apples! I like the idea of these quesadillas! Lately all I want to eat are things with warm nutella. This is definitely something that falls into that category. I love when it gets all drippy. What a fabulous and fun idea! 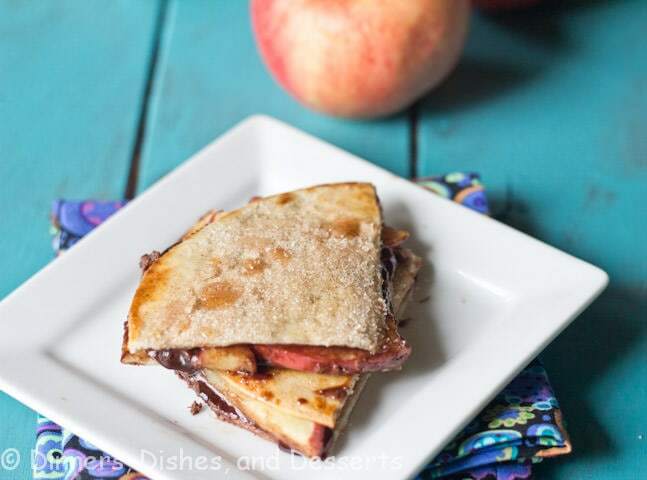 I love nutella with apples…and to think of putting that great combo in a quesadilla. Brilliant! Thank you so much for sharing…what a delicious way to end my weekend. I hope you have a beautiful Monday, my friend! Erin this is fabulous. I love that you paired nutella and apples. The photos just make me want to run into the kitchen asap and whip this up. I’m always looking for more ways to enjoy Nutella. This looks like a great way to enjoy it more. I love this post! 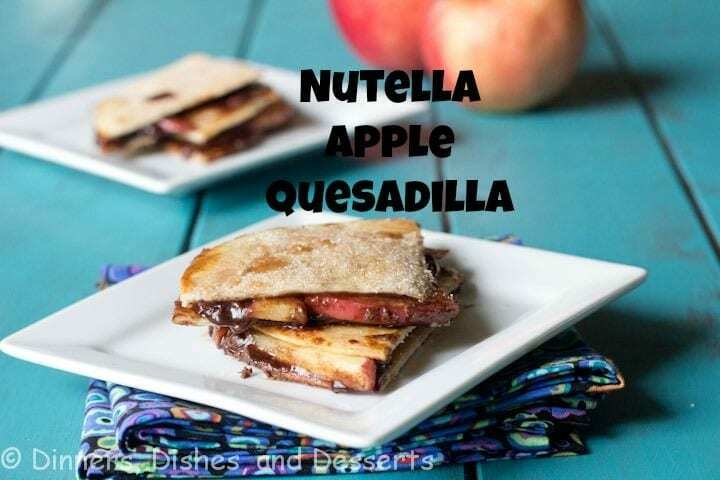 This Nutella Apple Quesadilla looks amazing! Put Nutella on anything and I’m there! love this! What a great simple recipe. Cute photos! What a great idea!! I love this!! Sounds yummy too. 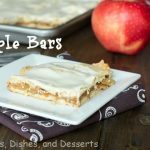 What a quick and easy snack or dessert! Great idea, I know my daughter would love one of those hot off the griddle when she comes home from school!! These sound absolutely amazing! I know my daughter would be in heaven with one of these quesadillas!! Pinning to try this out very soon!! Sometimes the simplest recipes are the best! Your quesadillas look amazing…and I love the cinnamon sugar crust, too! Great to cook with you for another #SS! Wow….this is yummy! Love you use Nutella on the tortilas! 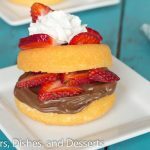 What a fun and simple recipe–so many Nutella recipes lately, I must pick some up and give it another try! Interesting combo but something I know I would like, fun idea for kids too. This quesadilla is brilliant! It’s simple but bursting with amazing flavours and texture. I’ve got to try making this myself. I love everything about this wonderful dish! Nutella makes me happy and it would make me even more happy to have some apples and torilla covered in cinnamon and sugar with my nutella. 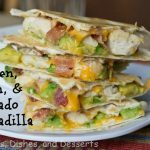 See…always the more creative quesadilla ideas come from #SundaySupper!! Can’t wait to try this. I love Nutella and I bet these tasted divine! I am just getting into the Nutella craze and will have to give these a try! Breakfast. Definitely breakfast 😉 Love the pairing, especially since there is Nutella involved! Pinned. thats the kinda Quesadilla I want to eat! 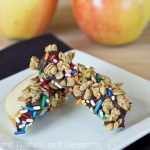 Yum great idea combing Nutella with apples! I’ll skip the cinnamon next time, and I creamed butter with a little bit of sugar instead of oil, and used a whole (medium) honey crisp apple sliced thin between two quesadillas…pretty damn tasty idea!